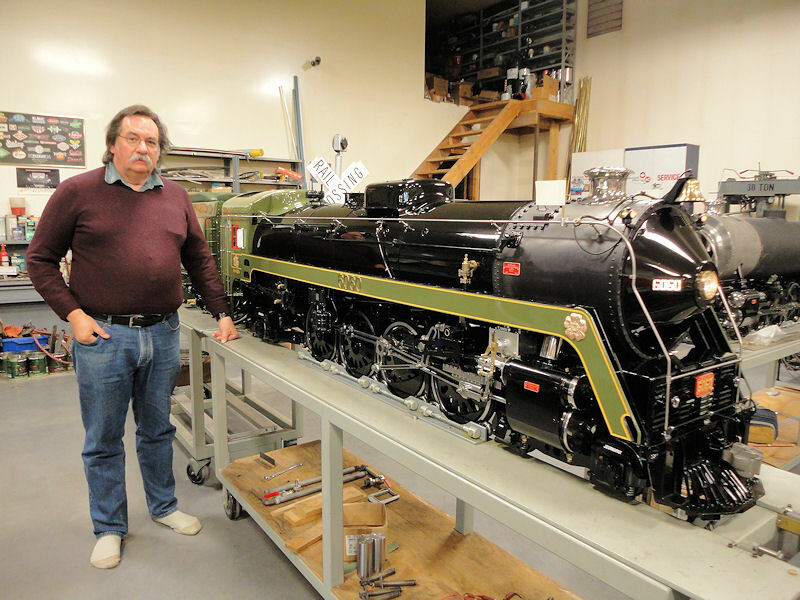 Ray Verdone with CN 6060 (Mountain type U1f exact replica) Locomotive. The scale is 1.593 inches to the foot from original CNR plans. Note Ray in his socks. Ernie's is a very clean shop.